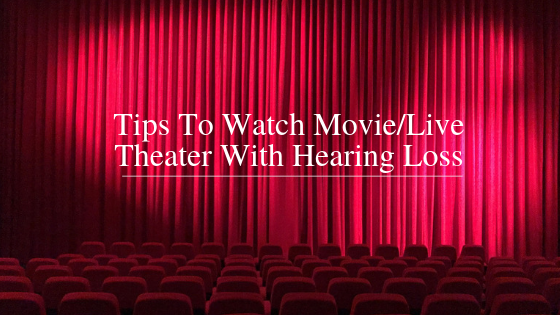 Generally, people suffering from hearing loss avoid going to multiplex (Movie theatre) for movies. They feel apprehensive that they would not be able to catch the dialogues over the loud soundtrack, so they usually cut them off going to movies and prefers to watch the movies in privacy with the bits of the help of captions. On the other hand, the same happens when it comes to attending live theatre, people suffering from hearing loss also avoid going to live theatre or concerts as they might not be able to understand. In the present time, technology is going better and better, it made the life of the people easier and comfortable too. Nowadays, movie theatres provide free captioning devices and live entertainment theatres are expanding its convenience options in order to help those suffering from hearing loss. In this post, we’ll cover some of the tips that will help you to enjoy the movie and theatre shows to the fullest. If you are suffering from hearing loss, you should go to the theatres that provide captioning devices to their audience. Most of the caption devices consist of an OLED display connected to a flexible support arm that fits into the cup holder of your seat. These flexible arms allow you to set the captions in a place that suits best for you. Additionally, some movie theatres provide captioned glasses to those suffering from hearing loss as it displays the captions in front of you so as to make it easy for you to understand the movie. At live concerts and theatres, there are numerous options available for hearing enrichment. The infrared headset is a common assistive device, helps a person suffering from hearing loss to understand voices. Nowadays, advanced technologies like hearing loops are trending because of the superior sound quality. Additionally, these headsets are also suitable for the person with hearing aids. Dr Deepak Kumar (Audiological Scientist) at the Audiology Clinic based in Dublin, Limerick, Mallow, and Naas, specialize in treating all sort of hearing disorders including Hearing, Tinnitus, Balance, Microsuction, and Hyperacusis. Moreover, Dr Deepak Kumar takes the hearing test of the patients in order to provide suitable hearing aids to them. To make an appointment visit us at www.audiologyclinic.ie/make-appointment.